Vote 4 Tucker – 2014 ESPY Award! 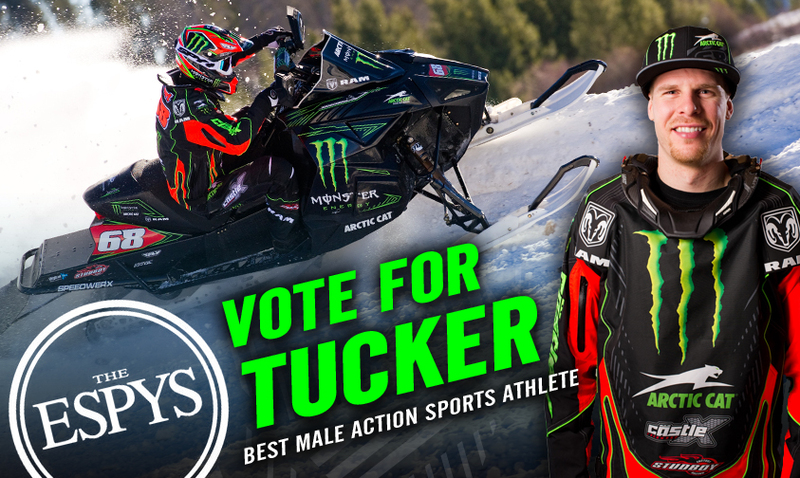 Tucker is up for an ESPY (excellence in sports performance yearly) Award in the Best Male Action Sports Athlete category and he needs your help to win! If he tallies the most online votes, he’ll become the first snowmobiler in the 22-year history of the ESPYS Award show to win. You can vote once per web device (computer, phone, tablet computer, etc) now until July 16. The award will be presented live on ESPN Wednesday, July 16.